There's been a lot of talk and press about getting home care caregivers to a $15/hour wage, which equates to an annual income of roughly $30,000 per year. There's even a movement called Fight for $15 that is organizing strikes and lobbying efforts to raise the minimum wage. According to this page on payscalecom, the present median hourly wage is $10. The silicon valley darling home care company Honor is paying wages in this range and they're able to do it because they charge more and justify their higher wage with a tech-enabled better experience. But as long-time home care expert Stephen Tweed points out in this article, a rate increase of this nature would not be affordable to seniors or to Medicaid waiver programs and would likely put home care companies out of business. I agree that caregivers should be able to receive a living wage, but I don't think that many people will be able to afford Honor, and I agree with Stephen that if we do home care the way that we've always done it and raise the wage to $15, that it won't work. Maybe We Shouldn't Do it the Way We've Always Done It? As a comparison, let's look at the movie rental industry... There was a time not long ago when we went to Blockbuster to rent videos. We would go there and browse through shelves of VHS tapes, and later DVDs to see what movie we might want to watch. There were Blockbusters pretty much everywhere and I'd imagine that the leadership in Blockbuster thought that their business model would live forever. 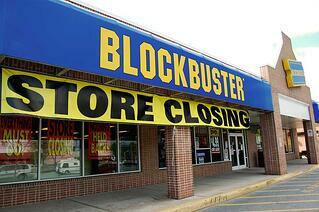 It didn't work out that way and Blockbuster is now gone, replaced by Redbox, Netflix and other on-demand services. We didn't stop renting videos, we just do it in a different way. Can we do Home Care a Different Way? First of all I believe that home care is a fantastic industry that needs to grow and not die, and I would go as far as to say that there is no way that the home care industry can fail. But by the same token, the movie rental industry didn't fail either - only the video rental store model failed. Skeptics at this point might argue that the failure of Blockbuster and video stores occurred because technology was able to replace people, and that in home care there is no technology that is going to sufficiently help grandma with her bath and toileting. You'd be right, there is not a way to care for fragile people in their mid-80s and above without people, but I do believe that there's a different way. How Can We Get to $15 Caregivers? One way to get to $15/hour caregivers is to change the model of home care from a 1-on-1 experience to shared caregiver experience. As I've shared a few times, I had knee surgery last summer and was in the hospital for two days. Over that period of time I had 24-hour care, but the care providers were not in my room for 24 hours. I would hazard a guess that my 24-hour care required less than 2-hours of 1-on-1 care time. The rest of the time, the care team was helping other patients. To make this work in home care the concept would be different that it is today. Instead of sending a caregiver to an individual client's home, what if you sent them to a suburban neighborhood where they could care for numerous clients in a one-mile radius, or in a city to care for multiple elderly clients in the same building. With a model like this, clients could pay less for their care because other neighbors are paying too, and caregivers can be paid more because there's more money coming in to pay them. Making this model work would involve a lot of technology because you'd have to look at proximity for emergency support, making sure that caregivers have sufficient breaks, clients are charged fairly based on their acuity and other factors. Tying back to the Blockbuster saga, the movies are still the main attraction and what we're paying for. In this new home care model, the caregivers are still the star of the show and they'll need to do more work during their shift, but ultimately they'll be able to get paid more and have a life outside of work, and we can have an affordable and sustainable care model. 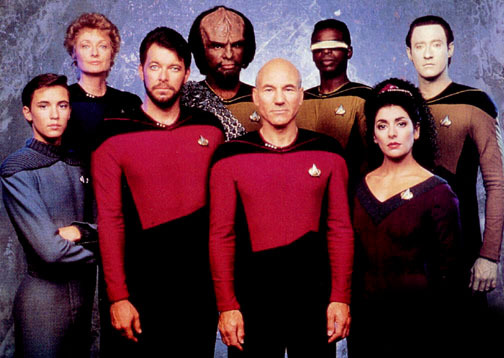 Will Your Home Care Software Take you into the Next Generation? If your home care software company isn't thinking about and talking to you about how you can compete in an age with more clients but fewer caregivers, or if they're thinking that the new models of payment for post-acute care won't affect you, it might be time for new software. Please contact us if you're ready for next generation home care software. If you're not ready yet, that's fine but consider subscribing to our blog on the upper right of this screen to learn more. 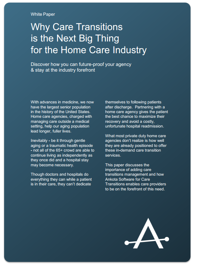 If you're interested in learning more ways to improve revenue, check out our free white paper, Why Care Transitions Is The Next Big Thing for the Home Care Industry. If you're interested in learning more, just click the link to download.